Affordable, Family-Friendly All Seasons Getaway. No cleaning fees! Property 5: Affordable, Family-Friendly All Seasons Getaway. No cleaning fees! Great Snow Fall! Availability- February 23rd- March 8th!! Property 6: Great Snow Fall! Availability- February 23rd- March 8th!! 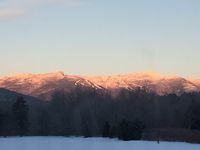 Stowe Townhome w/ Deck, Mtn Views & Resort Perks! Property 7: Stowe Townhome w/ Deck, Mtn Views & Resort Perks! Property 8: Best location in Stowe! Ski In Ski Out on Stowe's Mt. Mansfield! Highest Peak in VT! Property 10: Ski In Ski Out on Stowe's Mt. Mansfield! Highest Peak in VT! Chic yet Cozy, Ski-In Ski-Out, Near Everything Stowe! 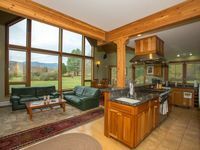 Property 11: Chic yet Cozy, Ski-In Ski-Out, Near Everything Stowe! Stonybrook Community Townhome w/Pool & Mtn Views! Property 12: Stonybrook Community Townhome w/Pool & Mtn Views! Property 13: Fabulous 2 BR Luxury Condo. Ideal Stowe Village location. Luxurious Townhouse at Topnotch Resort & Spa, Last Minute Deals! Property 18: Luxurious Townhouse at Topnotch Resort & Spa, Last Minute Deals! Deluxe, Spacious, Cozy | Access to Award-Winning Spa and Tennis! Property 21: Deluxe, Spacious, Cozy | Access to Award-Winning Spa and Tennis! Stonybrook * Near Trapp Family Lodge & Bike Path! Property 23: Stonybrook * Near Trapp Family Lodge & Bike Path! Affordable Charm in the Center of Smuggs Village: Summer Paradise! Property 37: Affordable Charm in the Center of Smuggs Village: Summer Paradise! Walk-to-Lift - Spacious 3 Bedroom Townhouse; Great for families and friends! Property 46: Walk-to-Lift - Spacious 3 Bedroom Townhouse; Great for families and friends! We had a great stay at Casa Riverwalk, gorgeous views, well stocked kitchen, plenty of room for all 8 of us. Lovely bathrooms, and comfy beds. Spacious, comfortable and well-appointed condo in a great location. Amazing views of the mountain from every room and a nice grounds. Clean and easy to manage. Great for a family!